Many of our blog readers have written in to ask where they can get a copy of the Kursus Pendidikan Pemandu (KPP) book in English version. As it turns out, it is quite hard to find a hard copy of the KPP book in English version. Nonetheless, I managed to locate a copy of the KPP English version in PDF format. As of August 2010, it is still available for download but I am not sure how long the link will be available. The file is 10.21 MB, hence it will take quite sometime to download. 31/12/2012 – JPJ web site has taken down the link to the PDF file. Download is not available anymore. I have the exact same book with me. It’s available at Perfect Driving Academy Sdn Bhd located at Puchong. I think I had to pay 10RM…. not really sure…. Because I grew up in a private school I’m not familiar with BM, I had to order all my books in English, so I had to pay a little extra. But at least there is a place where the English version is available. BTW…. I should thank you for taking the time to search for an English version of the KPP book. Even though I already have the book myself it’ll be useful to have a copy of it in PDF format in case anyone else may need it in the future. So…. THANK YOU Cikgu Yap for ur kind effort! It is much appreciated. Thank you Mr. Yap for remembering my question and finding the answer which, as you notice, many share. It took me quite a while to locate this book although mine was an older version. I was told the PPK would no longer update nor print any more such booklets as there was not enough demand to justify the need. I also pointed out to my driving school the errors as compared with the Bahasa version. I have passed the computer test and the road examination in July. I would be pleased to forward my comments for improvement on instruction. However, I do not think the school nor the instructors are interested at all. Thank you and please continue with your good efforts. Hi, I’m from UK (original Korean) and was planning to move to Malaysia. I never had any driving lesson before and was thinking to take one when I’m there. I searched everywhere on the internet for a book to download the theory test but can’t find any. Can you please advise if there’s any site that I can download. I’d just download the KPP but it seems not enough (only 50 questions). Or is there any site that I can learn/practice on line.. Thanks for your time and I’m looking forward for your reply. For the time being, I am unable to locate any site as you requested. My husband and I truly appreciate this! I already have a CDL for B2 driving license, now I am planning to take the D driving license, what is the next step should I make? What is the procedure? Some driving school charge RM1,500 for car driving course and other RM900 in Penang. What is your advice? 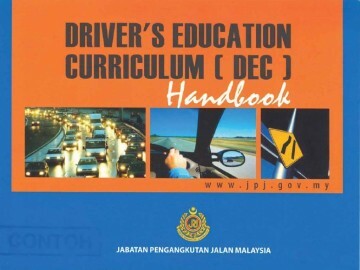 Register through the driving school or directly JPJ approved driving institute? Please advice me Cikgu YAP! With B2 CDL, attend the 6 hours theory. Then get an L issued for D (Cars). I suggest you enroll with Institutes where the prices are cheaper. Just to say thank you very much, it is a good book. God Bless You and more energy to help others. Looking high and low for the English version. Finally got it. Thank you so much Mr Yap. Thank you for taking you time to look for the KPP (Eng ver), but i need to ask you a question. Is this the book i should study for my KPP test?? because I’m schedule to take the KPP test very soon, and I have completely forgotten how to read/speak malay because of my enrollment to a private school. So i need to know whether this is the book i should study from if i am going to take that English KPP test because my driving instructor only give me the malay KPP book. I appreciate your observations greatly. You are most welcome to Malaysia. Thank you very much for providing me a PDF version of KPP book. It is a very good guide for new drivers. Once again Thanks a lot !. I am a 57 years old female polio victim. My right leg was affected. Can you recommend a driving instructor that will help me to go through all these hassles of obtaining my driving licence? I live in Klang. Your assistance will be highly appreciate. I will contact you through your email. Those who have the English version of the KPP book, could you please help share it by uploading somewhere or e-mailing me, I really need this. I had signed up with a driving school that promised to give me an English version of the book, and has failed me and I am left to do the computer test this coming week with a BM book on my hands and I have not much clue of the language because I am foreign to it! I would really appreciate any help in this regard, thanks guys! I am from UK, got malaysian D license as result of converting my uk one, Now I am undertaking the B2, I have to attend the safety theory course, but it’s only in BM as I wont understand most of it, I was wondering if anyone has english version or malay version so I can convert before I go. It just seams strange why they would ask me to attend knowing I will not understand it, of course if they use pictorial diagrams or presentation then of course I will be able to take in some of it. I’ve updated the post above. You can get the KPP English file from the link above while it’s still available. Actually, with car license (D), you’re exempted from Highway Code and safety course. Just attend theory class (6 Hours) for B2 and take out new L license for motorcycles. Hi Cikgu Yap, I would like to ask for the english version for the PDF book if you’ve downloaded it and willing to upload it to a file hosting site like mediafire since it’s been taken down as you mentioned above. I really need that English version of it. Your kind work would be greatly appreciated. That’s a good idea. But JPJ may not like it. I have just paid 600+ MYR to get my motorbike license in Johor. I have only just now been told there there is no english book available to study for the exam. 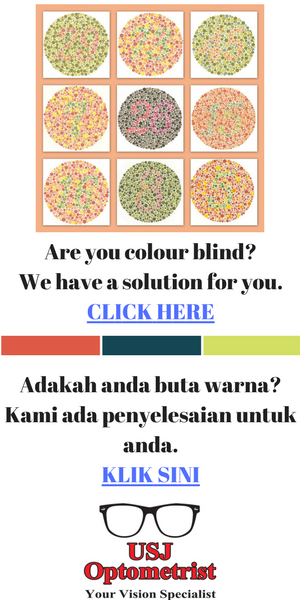 I am new to Malaysia, from Ireland, and my Malays is very poor. Can you please advise where I might find some English resources to study for the motorbike exam. Many driving institutes have access to English books for motorcycle tests. I’m also in the same position as Conor. I paid for the motorcycle test after I was told that the english version of the book is available. When I went for the class I was told to go to jpj to get the book and at JPJ I was told that there is no english version of the motorcycle book. So now pretty much stuck with the malay version which am trying to decipher with my rudimentary malay. Please Cikgu, point me to any school which you think may have an english version of the motorcycle book.